Commercials are mostly used for marketing purposes, there are different types of commercials. To inform, educate, persuade, to make you buy something or make you do something. All commercials have their own purpose, as it would be pointless to make them without any reason or goal. Also, commercials are there to create brand awareness and make sure you remember the brand. Our team at TGR has commercials that they find interesting or entertaining and which they remembered for a reason. Marketing strategies have different types depending on the goal and the message that has to be delivered through commercials. To name a few: cause-related marketing, customer relationship marketing, advertising marketing, transactional marketing, and many more. These are quite different from each other and therefore you cannot pinpoint marketing on only one type. But all these different marketing strategies are used to make sure that the message comes across and people who watch it act on it or think about it. And as they say, “with great responsibility comes great power”. No wait, it’s the other way around, isn’t it? So, “with great power comes great responsibility” and if you mess it up then the consequences might be severe. Most of the commercials mentioned in our list will show you how many times a commercial stays in someone’s mind. Some of these commercials are quite old, but they are still remembered. Why is that? Because of the effective implementation of marketing strategies utilized by companies. Presenting, our team’s 10 favorite commercials of all time! This ad takes Gaëlle back to her college days and when everyone knew this ad. Whenever someone said: Wazzuppp, people immediately remembered the beer Budweiser. Budweiser’s commercial was broadcasted during the famous Superbowl. Despite the fact that this was a typical American event, the commercial still went around the world and this thanks to only one word: ‘Wazzup?. It was also often referred to in other TV shows and media. Afterward, several versions of the commercials were made. The company strengthened its brand recognition in an extraordinary way. World Cup in Korea was around the corner and this is when Nike released this campaign called “The Secret Tournament”. There were 24 players selected, the best at that time and they had to go through a tournament with a total of 3 rounds. Each team had 3 players and they were a “first goal wins” matches. The match was held in a cage on a boat. 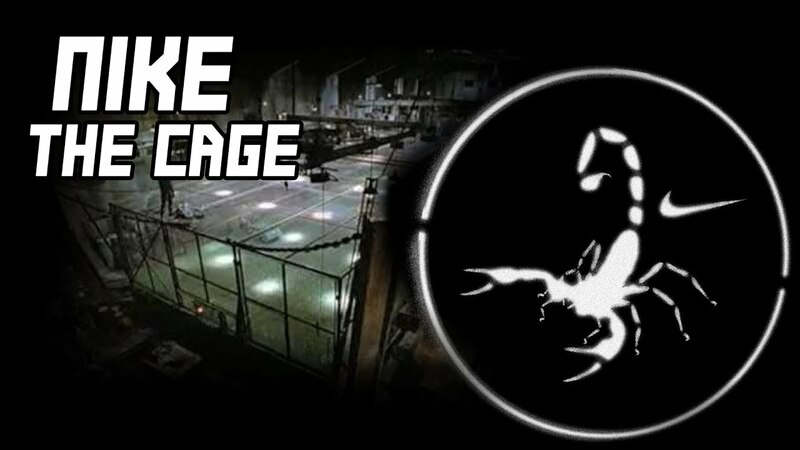 After the commercial was a success, Nike had recreated the cage and placed it in many cities around the world and millions of kids participated in the competition. The song “A little less conversation” by Elvis remix version was used for this commercial, the song was already a hit and then it was connected to NIKE as well. Yannick is known as a big football fan and this is why this commercial is very special to him. All these famous and good football players in one place, playing these amazing matches. Powerful and motivating ad. Famous female singers were chosen for this specific ad who are an example for a lot of women. A lot of girls looking up to these celebrities obviously is one of the main reasons they have chosen these artists. For Eva specifically, the historical theme setting was also appealing to her personal interests. It felt like Pepsi is (also) for badass and powerful women, who do not go down without a fight! However, instead of going into a battle, they started a sing-off. They sang the iconic song of Queen “We Will Rock You”. A lot of girls, a lot of women felt empowered by this ad, which is the main message of the commercial. This ad uses an amazing strategy, which is storytelling. People who watch the ad are amazed by the story and the way it’s told. The commercial gives you the feeling that you actually know the people behind the brand, people will feel like they’re a part of it. The location, the use of props, the actor Robert Carlyle strolls down the road and Walker’s progress unfolds itself during the commercial. For Frederik, the ad is informative, appealing and engaging from start to end. And most amazing part, it is a one-shot commercial which makes it even more awesome. The commercial is funny, well edited and was also shared with everyone. People immediately knew when someone said: Who took my badjas?. There were multiple catch phrases used by people in Flanders. Belgacom TV used this commercial to “show” how it would be at home with all celebrities because all their films will be available on their movies’ list. Since this commercial exploded online and offline, the publicity was immense and that’s exactly what they wanted and needed. As for many people, Gaëlle still has to laugh whenever she sees this commercial. Nike is known for its association with athletes, and how it is for people who are physically active and into sports. However, this ad focuses on “normal” people and with no specific background in activities. Thus their brand shifted from not only for athletes equals role models to everyday people which is more relatable. People can buy products because their favorite idol wears it or because you get inspired by people just like yourself. Nike now inspires people to do better, to do more for themselves and people should be their own role model. For Frederik, especially the first example of a young boy, who decided to go for it and start making things happen for himself is inspiring. 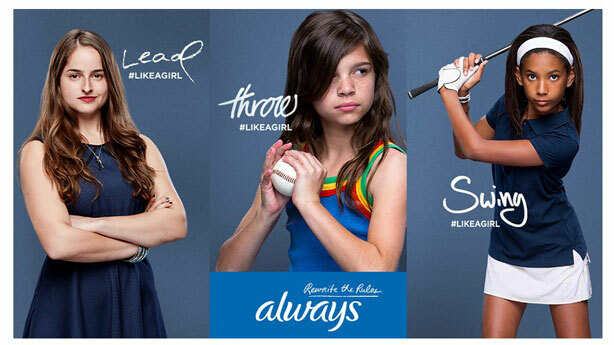 The phrase “like a girl” has become an insult, because it is used that way for centuries. “Always” used this common issue for their commercial to create awareness. Why should it be an insult that you are a girl and do something “like a girl”? “Always” is a well-known brand worldwide and they focus on products for girls and women and they understand their target audience. They want to build confidence for their target audience. For Josephus, it showcases a strong message of why it is important not to allow stereotypes to decide what one can do or cannot do. Everyone is powerful and special in their own way, no matter the gender! Also, it showcases how brands can leverage on topical societal issues to empower their brand message and positively increase its brand perception. When you look at the most famous growth hacks of all time you see a couple of binding factors such as automation & outside of the box thinking. Next to that a lot of these well-known examples use ‘other people’s networks’… Volvo used this last one very well. Where their competition was spending millions on TV ads, the Swedish car manufacturer came up with a very small idea to shift the social conversation. They literally stole attention from their competitors, just brilliant. Yannick was impressed by the boldness and uniqueness that Volvo had shown by using this tactic. Their tactic was to “steal” the viewer’s attention by getting them to engage themselves actively with Volvo by tweeting a hashtag to win a car for a loved one, even though they were watching other car commercials on TV. It is called “The Greatest Interception” ever. This ad is relatable to Eva in the sense of our normal daily activities and interests, such as eating sushi, quality time with his mother, road trip with his girlfriend. And as in our current technological world, we post it on social media and in this case on Instagram and therefore you need mobile data obviously. Otherwise, how would you be able to share your story with others? Most likely it was relatable to others as well, as this was a commercial that they remembered after a long time. Which is one of the most used types of marketing, make it relatable to your audience so that the message will connect with them on a personal level and eventually will result in your audience taking action. Oh and also, the music is very catchy. Asides from the fact that its an ad from the legendary Nike, pushing an inspirational message of becoming the best version of oneself. 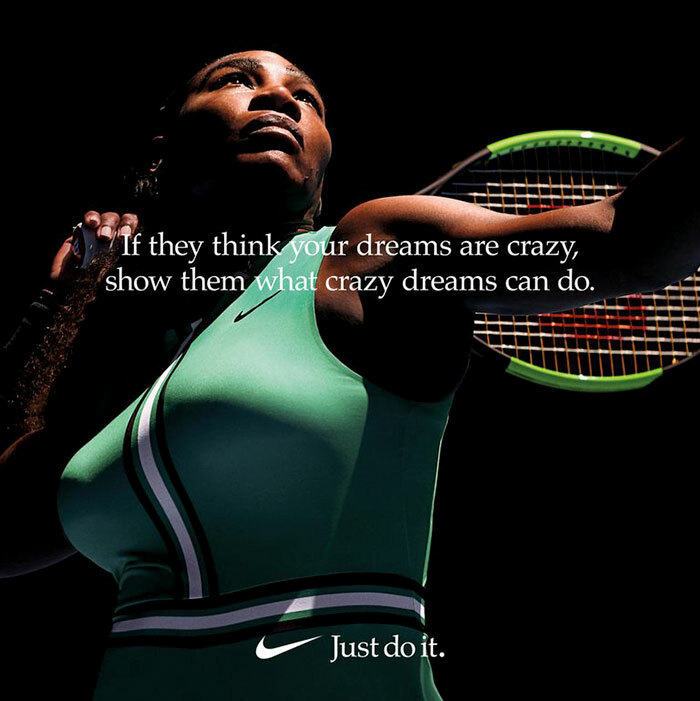 The ad also showcases Nike staying true to its brands’ core message which is the same in all of its communication. This is a massive lesson for other brands on the essence of having an aligned and seamless omnichannel brand messaging. This ad reminds Josephus of the early days Apple ad by the legendary Steve Jobs. The message is simple, always dream big and strive to become the best at what you do. Because those who dream crazy, achieve crazy fantastic success. Many commercials stay with us for several reasons. But one thing is sure, it’s all about unique and effective marketing strategies. These organizations have shown how commercials can reach people in different ways. Do you know any great commercials that we have to watch? Please share them with us in the comments section!